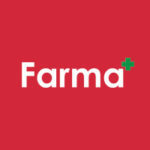 For all of you who were so patient with us throughout the nearly weeklong crash of Farma’s POS system, MJ Freeway, you might enjoy MG Retailer’s report and interview with our very own Emma Chasen detailing just what happened, and what the crash meant from the dispensary’s point of view. The shutdown of MJ Freeway’s servers affected dispensaries all across the nation, causing more than one headache as their databases were wiped clean. We at Farma are grateful for our dedicated and hardworking team; thanks to them, our heads remained above water and we live to serve another day!